We’re living longer today. But there’s a price to pay that comes with longevity: age-related health problems. In fact, there are seven chronic diseases that commonly lead to death as we get older. They are: heart disease, cancer, cerebrovascular disease, hypertension, chronic lower respiratory diseases, Alzheimer’s, diabetes, and flu and pneumonia. Pharmaceutical companies know this all too well. They’re lining up with possible solutions to all seven problems (and many others). Along with all of the drugs currently on the market, there are presently more than 2,000 new drugs targeted to aging Americans just waiting for the FDA to approve them. But how long will it take for them to reach us? And will they work? Or will their side effects or drug interactions render them useless like so many others? Some of these medications, like the 150 solutions to diabetes, could be unnecessary with a healthy diet and exercise. There are numerous natural solutions to hypertension and preventing pneumonia that are already available. It’s just that they don’t get as much attention as the pharmaceuticals. 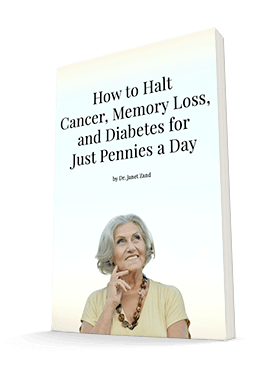 Instead of waiting for the FDA to approve the next miracle drug, begin to improve your health today by taking a few simple steps. For instance, instead of exercising once or twice a week, do it four or five times. You can also reduce your risk for several of the seven deadly diseases for seniors with a diet low in animal fat and high in essential fats (flax oil and walnuts, for instance). And you can reduce sugar consumption (a major contributor to diseases such as cancer and diabetes) simply by eating a rare dessert rather than eating a daily treat. You’ll find more tips on treating chronic illnesses in every issue of my monthly newsletter. And back issues are available to all subscribers on my website. A few nutritional supplements could prevent the need for one or more prescription drugs. And unlike medications, supplements rarely have any side effects. It’s shocking to realize that there are at least 2,000 new drugs waiting for approval. And, if you’re over 50, all of them are targeting you. This means you’ll continue to be bombarded with reasons to take the easy way out. Last year alone, researchers and drug companies spent $58.8 billion to develop new pharmaceuticals. If you think drug companies will stop attacking natural solutions, you’re mistaken. It’s time for supplement manufacturers to conduct a few sound scientific studies on their products to further legitimatize them. And to give the public the information we need to feel confident that they won’t hurt – and could very well help — us. Meanwhile, read my free weekly Health Alerts and my newsletter (you can subscribe to it on my website) and begin to take charge of your health. Solutions are available. And you can avoid all these new drugs — and their side effects.